The cargo spacecraft “Progress M-M04M” is due to deliver pickled cucumbers to the ISS, besides the usual food ration and fresh fruit. Vital supplies are on their way to the International Space Station after being successfully launched from the Baikonur Cosmodrome in Kazakhstan early on Wednesday. “This time we’re not sending fresh tomatoes – they are not good at this season. Instead we are sending 2.5 kg of pickles,” Aleksandr Agureev, from the Institute of Biomedical problems of Russian Academy of Science, told ITAR-TASS. All fruit are packed in 12 special containers, which will protect them for a long time, he added. Besides the delicacies, Russian spacemen Maksim Suraev and Oleg Kotov, as well as their American colleagues Heffrey Williams and Timothy Krimmer, and a Japanese astronaut Soito Noguti, will be able to diversify their diet with fresh fruit – 5.5 kg of apples, 4 kg of oranges and 3 kg of grapefruit. Russian astronauts usually prefer apples, and Americans citruses, IBMP specialists mentioned. Onion and garlic, which have been sent to ISS before, will not be sent this time because astronauts claim they have had a lot of it lately. 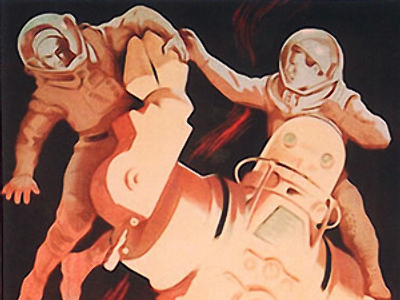 “Progress” will bring to the station standard food rations, which are composed for a certain period of time, based on scientific calculations of calories and microelements, necessary for normal body functioning on orbit, Agureev added. The rations include Russian dishes as well as American, but also specific favorite foods of the astronauts can be sent. Often Russians, as well as foreign astronauts ask for cottage cheese with nuts, dried apricots and sea buckthorn. All food for Russians is composed from the items of flight ration, with no food from supermarkets, as NASA does sometimes, emphasized Agureev – it would not pass strict sanitary and hygiene certification.